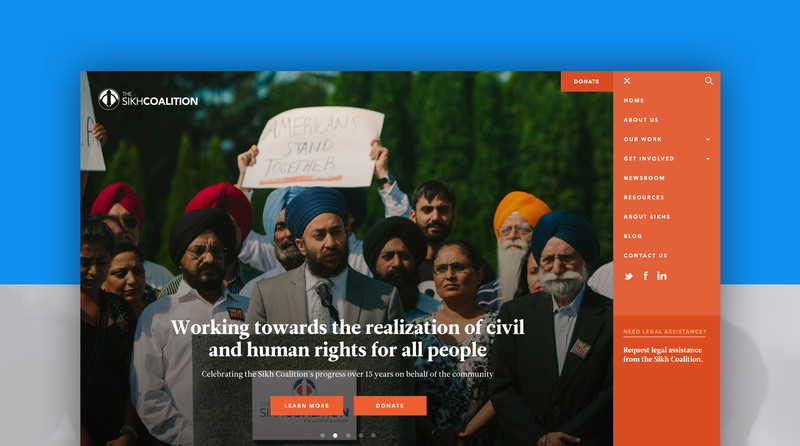 The Sikh Coalition works to defend Sikh civil liberties in the courtroom, classroom, community and halls of Congress. 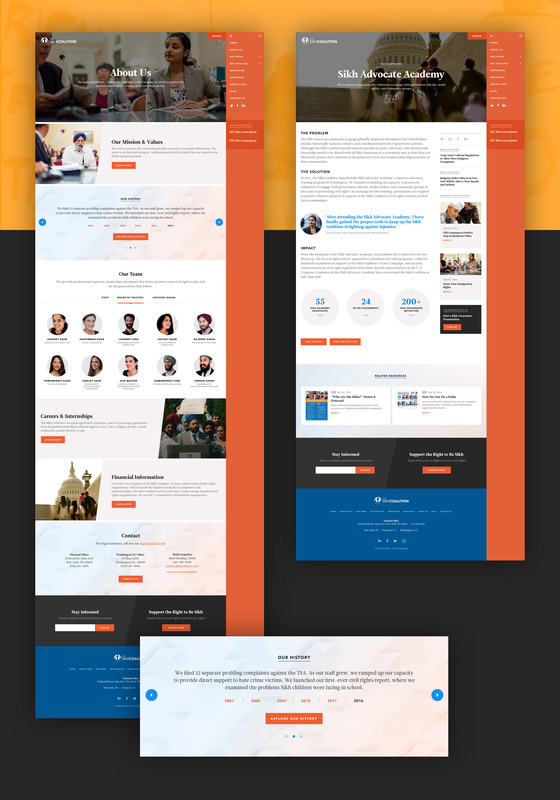 Working for Constructive, I led the visual redesign of their website based on the information architecture developed in-house at Constructive. 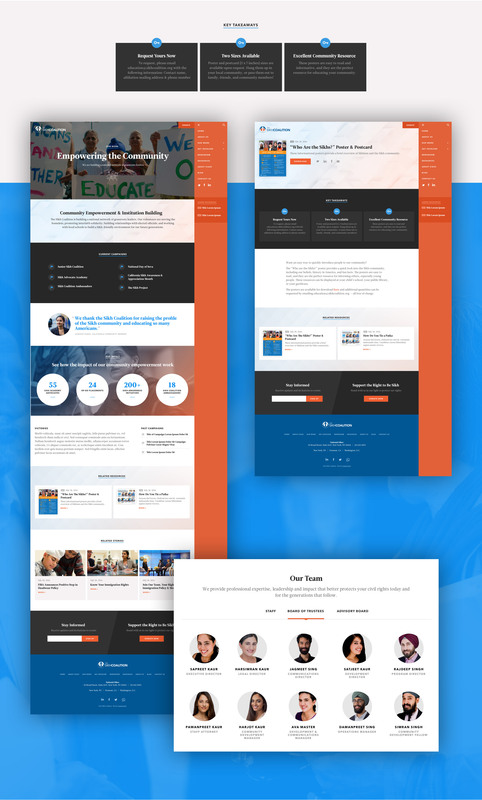 The starting point for the redesign was the Sikh Coalition's own brand guidelines, which specified two colors (blue and orange) and a typeface (Avenir). I selected a complementary typeface (Leitura) for their body text and titles.